It’s hard to ruin food on a grill. I can assure you, after eating a week’s worth of grilled dinners during our family camping trip last week, there wasn’t one night that the meal didn’t taste fabulous. Sure, there are those who will insist that grilling is an art. You’ve seen them before. They’re the ones with red, sweaty faces, a beer in hand and tongs used more for ushering out the women than for flipping meat. Ladies, let me assure you, grilling is easy. So if you haven’t learned to grill (or don’t know how to turn yours on! ), let this month’s kosher blog linkup inspire you to do it now. Dinner on the grill is ready in minutes, and the best part is that you don’t even have to clean up the mess. All you need is a simple charcoal or propane grill to get the job done. Add a homemade grilling sauce, and it’ll taste even better. 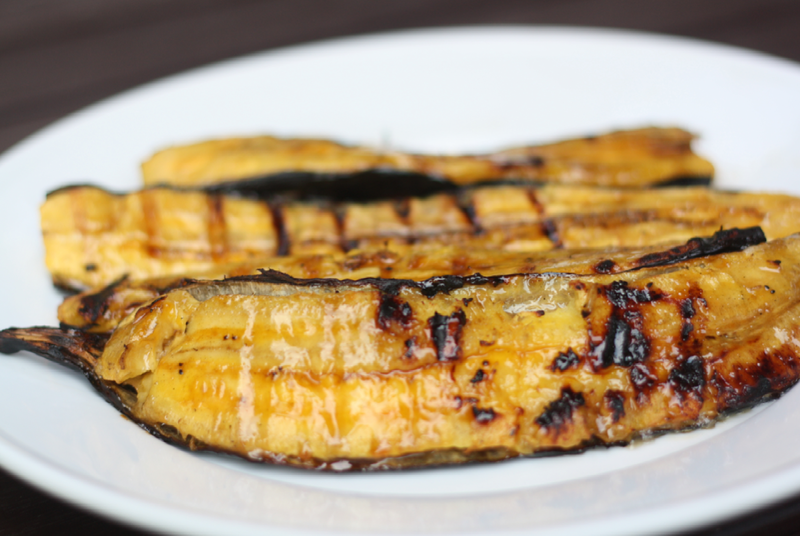 Oh, and when you’re done, feast on the grilled plantains featured at the end of this post. Crispy on the outside and melted sweetness on the inside. Once you make ’em, you might not want to share ’em. Good thing you’re manning the grill. 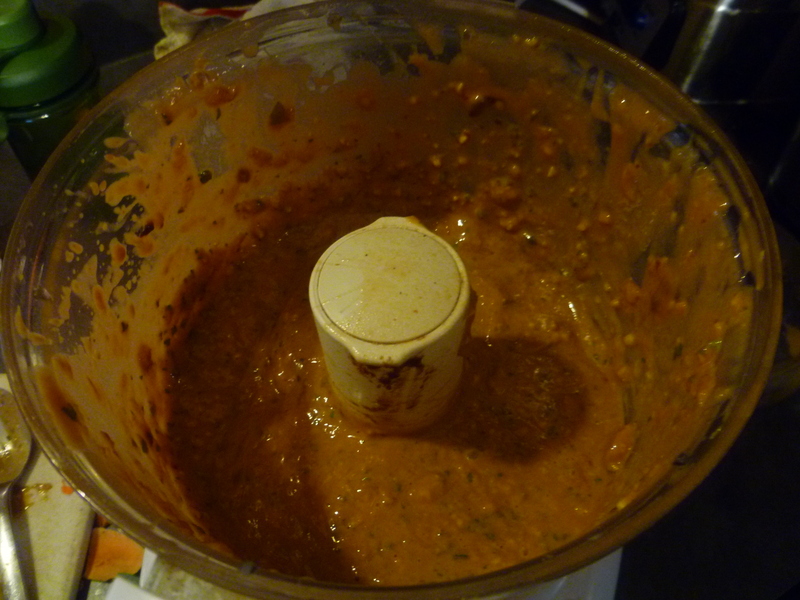 Blend together all the ingredients in a food processor and then pour into a shallow, wide dish and let the meat and vegetables marinade in the refrigerator. 20 minutes will suffice, but the longer you marinate, the better it will taste. Grill food as usual, pouring the remaining marinade from the dish on the grilling food a few minutes before it’s done. Pick plantains at the store that are very ripe and look like extra large overripe bananas. Peel the plantains and cut them into slices, length-wise. Brush them with oil and a dash of salt. Place on grill over low heat until slightly crispy and brown. I have never done well with a plantain, perhaps my hatred for banana’s clouds my judgement. If you don’t like bananas, you probably won’t like bananas. Good news is that most people love them! I made roasted plaintains a week or so ago and used a store bought spicy honey peanut butter sauce on them. 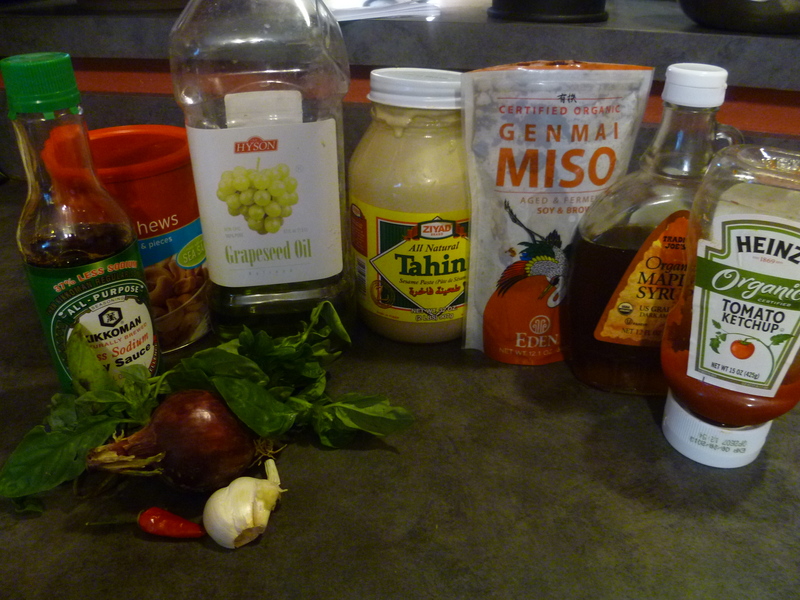 I can’t wait to try your homemade grilling sauce. This grilling sauce looks fabulous- I will have to try it! too bad I am allergic to bananas! These sound great.